The Teacher Education Program of Athens University of Economics and Business (TEP AUEB), in collaboration with the Department of Teacher Education and School Research of Oslo University in Norway and the Athens School of Fine Arts, held on May 17th, 2018 the Annual Scientific Conference and Annual Exhibition of the TEP AUEB students' visual art projects on “Diversity in school: different aspects and perspectives”. The Conference was prefaced by the Deputy Dean of Academic Affairs of AUEB, Professor Dimitris Bourantonis, by the representative of the Rector of the Athens School of Fine Arts and by the Assistant Professor Janne T. Scheie of Oslo University. The Professors Janne T. Scheie and Britt Oda Fosse from Oslo University talked about the differentiations found in multicultural schools in Norway. The actress and drama teacher, Efi Mouriki, approached the issue through a different perspective deriving from theatre and theatrical texts, (Checkov, Shakespeare). 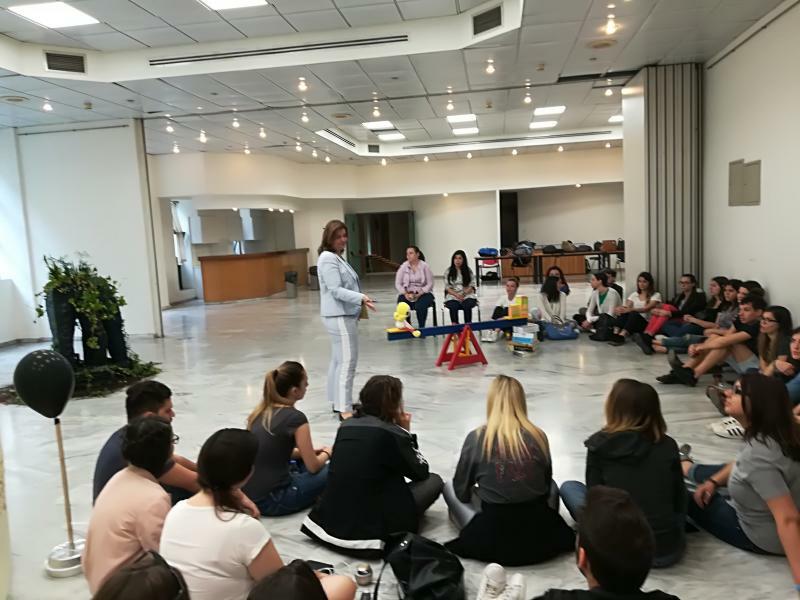 Thodoris Panas, well-known dancer in Europe, approached the diversity in school through dance and psychomotor activity, connecting the audience with the music and the dance through an innovative workshop. Evi Pashou, psychiatrist, talked about teaching diversity in school through artworks, in order to detect the students’ attitudes towards the phenomenon. George Konstantinopoulos, theater director, member of the Greek Directors Guild, gave a cinematographic perspective on diversity in school through videos in combination with narration. The concepts of "Identity" and " Diversity" through Contemporary Art were presented by Marina Tsekou, Education Curator of the National Museum of Contemporary Art, providing examples of its educational programs. Diversity in school through the French pedagogical movement “Freinet” was approached by Dr. Babis Baltas, who is a teacher in primary education and Chairman of the Board of Directors of the pedagogical team "Skasiarheio". The Conference ended with the presentation of the innovative educational activities of the Teacher Education Program of AUEB, by the scientific responsible, Dr. Vasiliki Brinia.